Reese Witherspoon once said, "If it's not moving, monogram it"- and there's no exception when it comes to wedding cakes. 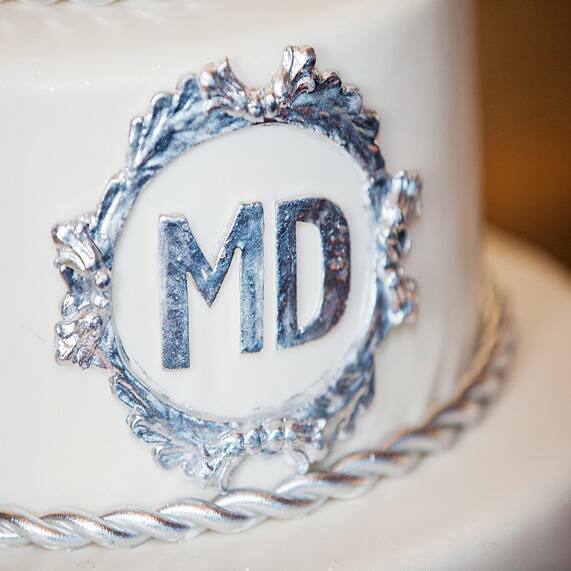 A monogram is a simple way to personalize your sweet treat and show off your new last name. 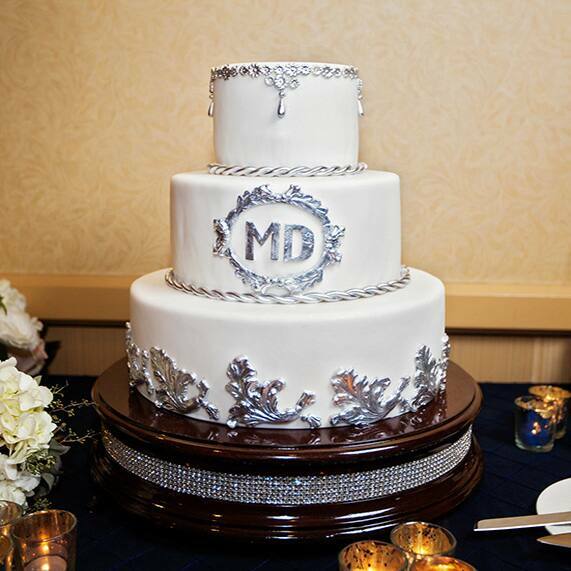 In addition to a stellar monogram, today's cake boasts silver embellishment and a dazzling cake stand. Images courtesy of White Rabbit Photo Boutique.